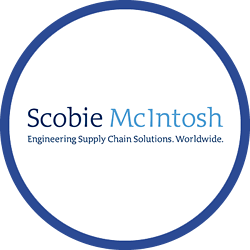 Established in 1885, Scobie McIntosh provide specialist support to the food service industry, working with national and international corporate clients including supermarket groups, hotel chains, local authorities and many more. Scobie McIntosh employs engineers based from home who go directly to customer sites to carry out work. Managing these engineers was becoming increasingly difficult, even with the assistance of an ageing vehicle tracking solution, and there were also growing concerns that this issue could impact on quality of service offered to a rapidly growing number of customers. Therefore, it was decided that an immediate re-evaluation of the existing solution should be conducted and other options explored so to avoid jeopardising customer relationships in the future. Following careful consideration and research, Scobie McIntosh decided to implement Crystal Ball’s FleetTracker solution with the Driver Behaviour bolt-on. This was initially based on the improvements in functionality Crystal Ball could offer over the previous solution, including detailed mapping with live vehicle positioning and directional markers for greater detail. In addition, FleetTracker offers live traffic incident updates, detailed journey reports, timesheets, and speeding notifications, all of which are proving to be useful features beyond the original scope of requirements. The additional Driver Behaviour bolt on also allows Scobie McIntosh to run utilisation reports to assess driving standards of their engineers, reporting against harsh braking, harsh acceleration, and harsh cornering instances on vehicles. Since the implementation of Crystal Ball’s FleetTracker, Scobie McIntosh now has live visibility of their workforce from the moment they leave home, knowing exactly where they are and the duration they are at a customer. This also means that FleetTracker has helped to allay the concerns had over the quality of service offered to customers by Customer Services. Newly available information, such as real-time journey updates and ETA’s for engineers is now available if a customer calls, which is a significant benefit for the department. Real-time traffic updates also benefit the department as it allows both the customer and Scobie to understand why the engineers may be held up and running late. It also can be used to help divert engineers to a less congested route if necessary, reducing delays.